Extreme Marquees Canberra has been selling folding pop up gazebos and marquees in Canberra for more than 13 years. Over the past decade we have sold thousands of event gazebos to customers in the ACT that need a high-quality marquee to provide protection from the harsh Canberra environment. If you’ve been searching where to buy gazebos or marquees in Canberra, you’ve arrived at the right place with Extreme Marquees! Our Canberra office is located at 6/39 London Circuit, Canberra ACT 2601. Extreme Marquees can provide the necessary portable star shades you need when going to your next football match to watch the Canberra Raiders or to any other outdoor sporting event. 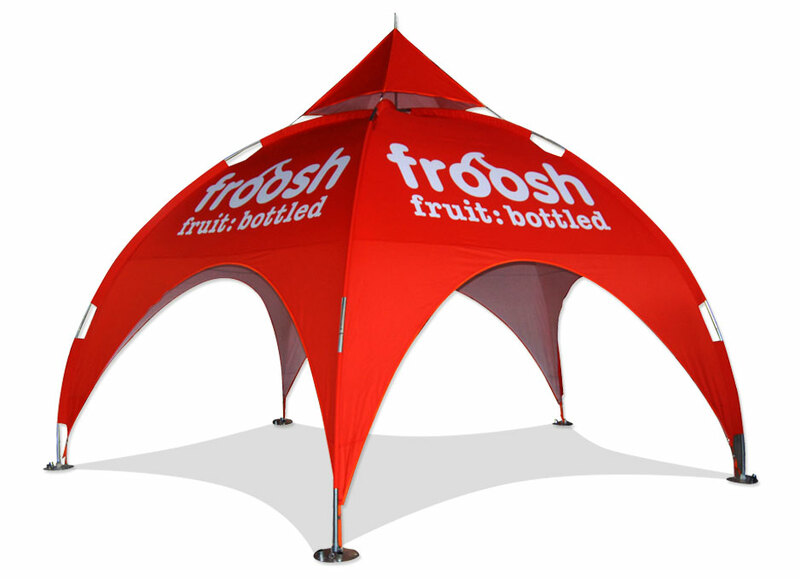 Our fast set up pop up gazebos are the perfect solution when you need shade fast! Our folding range of marquees is easy to set up in under 60 seconds and can fit into most small cars. Our new compact range of portable marquees and folding gazebos can easily fit into the boot of even the smallest cars. 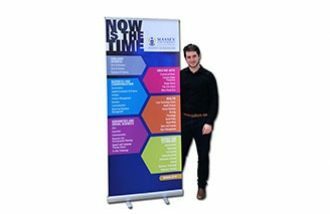 Our new 3.0×3.0 metre portable compact marquee will fold down to a mere100x30x30cm. Being made from polished anodised aluminium this gazebo offers both strength and light weight. 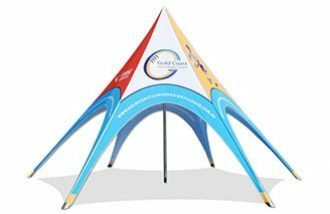 Our folding tents are perfect for businesses in Canberra that need not only shade, but a cost-effective method to promote their company or business. 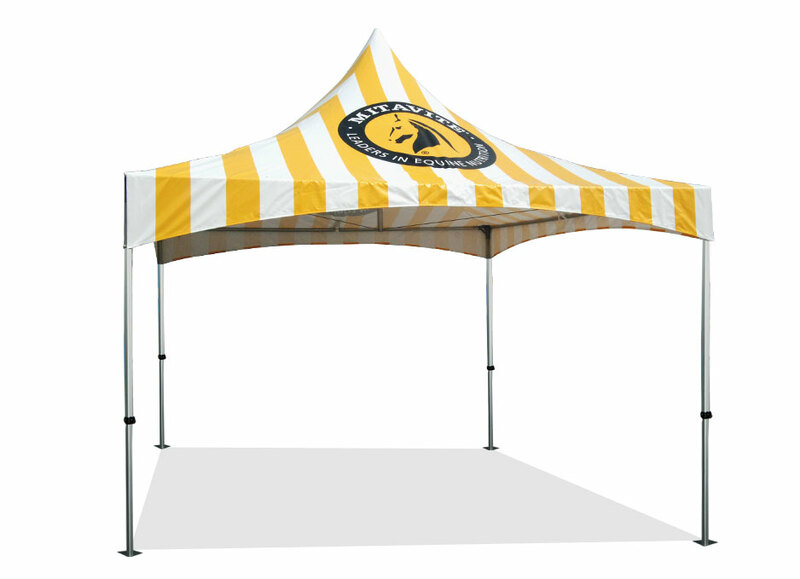 Our folding marquees can be branded on the Canopy or side walls. Side walls can be printed on one or both sides. Extreme Marquees use full colour digital printers to brand our gazebos. Digital printing means that we can print just about anything from simple logos to full colour photographic images. Every square centimetre can be used as a canvas to paint your message! 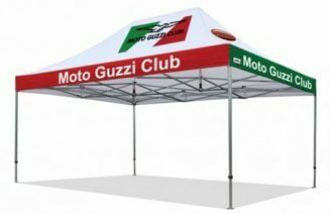 Extreme Marquees uses high quality fabrics and imported inks with fade inhibitors to ensure you get the highest quality printed gazebos. PVC OR POLYESTER FABRIC – WHICH IS BEST? Extreme Marquees sell both fabrics. Our PVC fabric is same fabric that is used on semitrailers to protect valuable loads. PVC fabric will last for more than a decade and is the most robust fabric available for marquee canopy and wall production. PVC is heavy duty, waterproof, has fire retardant and importantly is rated UV50 + which is vitally important for use in schools to protect our kids from the suns strong UV radiation. This commercial fabric is made from several layers of mesh with both sides coated sides with PVC. PVC gazebos can be left out in the sun 24 hours a day, 7 days a week. As the fabric is dense, it provides cool shade for those standing or sitting underneath. PVC is heavier and more expensive than polyester, however will last at least 5 times longer. PVC is perfect for those wanting a marquee that will be used many times a year at trade fairs, for hire companies where a very robust marquee is needed or for permanent applications. PVC can also be digitally, or screen printed to promote your companies message or logo. After printing, a hot coat of liquid lacquer is applied to provide a scratch resistance to logos and artwork. Polyester fabric is a lighter weight economical solution that can be supplied plain or printed. Our commercial grade polyester fabric is water proof, has fire retardant added and is UV50+. Polyester canopies are lighter weight than PVC and are easier to open. The life span of most polyester roofs if maintained correctly can last for 2 years or longer. 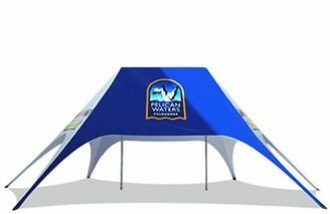 Polyester folding gazebos canopies are perfect for schools, clubs and stallholders attending sports days, fetes and markets. Polyester fabric can be digitally printed by utilising our 3-stage heat transfer printing process. The results are stunning, and colours are exceptionally vibrant. Polyester roofs and side walls are approximately half the price of PVC. Extreme Marquees has an enormous range both gazebos for Canberra customers and pop up and folding marquee accessories. Our patented clip on wheels makes it easy to roll your gazebo from your car to the set-up location. Opening up even an 8×4 metre marquee with a PVC roof is easy for 2 people (4 recommended). Other accessories such as half walls, steel weight plates, awnings, clear walls, mesh walls and window walls are also available.